The .Net Developer will be responsible for design and development work and production support, while providing full SDLC support including design, development, testing, implementation and providing technical analysis support. The .Net Developer will work both independently and within a team as needed for work assignments. Domino Technologies is based in the Harrisburg PA area - the capital city of the Commonwealth of Pennsylvania and the county seat of Dauphin County. The mission of Domino Technologies is to provide clients with IT solutions for their individual business processes that lead to strategic market advantages. Since its founding in 1996, Domino Technologies has built a solid record of performance working with clients in the private sector and government. Domino Technologies, Inc. is a Tier-1 vendor for the PA Information Technology Staff Augmentation contract and major IT vendors. 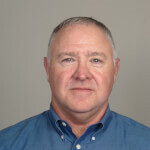 Roy has over 30 years of experience in the Information Technology field. Roy joined Domino Technologies in 2007 and is responsible for account management and client/employee relations. Roy’s focus has been building a strong Company reputation and recruiting a team to service Domino’s growth. Roy’s vast experience within the IT industry includes expertise in recruiting, account management, mentoring, and business development. Roy enjoys numerous outdoor activities, cooking, and spending time with family and friends.